When a personal injury case arises, the jury will allocate responsibility to all parties reasonably involved. The amount of damages the plaintiff can collect, if any, is dependent on the state in which the accident partakes. In a pure contributory negligence state, the plaintiff is barred from recovering if he or she acted negligently or contributed to the accident at all. In other words, if the plaintiff is even just 1% at fault for the accident, they cannot collect any damages. The only jurisdictions that still use contributory negligence are Alabama, Maryland, North Carolina, Virginia, and Washington, D.C. Under comparative negligence jurisdiction, the plaintiff has the right to collect damages in respect to the amount of fault allocated to each party. However, there are three levels of comparative negligence which dictate whether or not the plaintiff can collect these damages. Pure comparative fault: Under pure comparative fault, the recovering party can collect any damages reduced by his or her share of the fault. This system is often criticized as it allows for a party that is primarily at fault to recover from a lesser-at-fault defendant. There are currently twelve states that recognize the pure comparative fault rule. Modified comparative fault: There are two types of modified comparative fault. Ten states follow the 50% Bar Rule, meaning a damaged party cannot recover if they are found to be 50% or more at fault; A plaintiff can only recover damages if they are determined to be at lesser fault than the defendant. Twenty-three states follow the 51% Bar Rule. 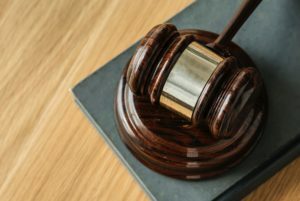 This prohibits the plaintiff from recovering damages if they are found 51% at fault or more but allows for the plaintiff to recover damages if both parties are equally at fault. New York is a pure comparative fault state. If you believe you have a personal injury claim, contact one of our experienced lawyers today (212) 553-9215.